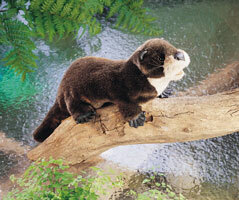 Fun and playful River Otter Hand Puppet. Workable head, mouth and tail. Two handed puppet. Folkmanis. 18" long, 6" wide, 6" tall.